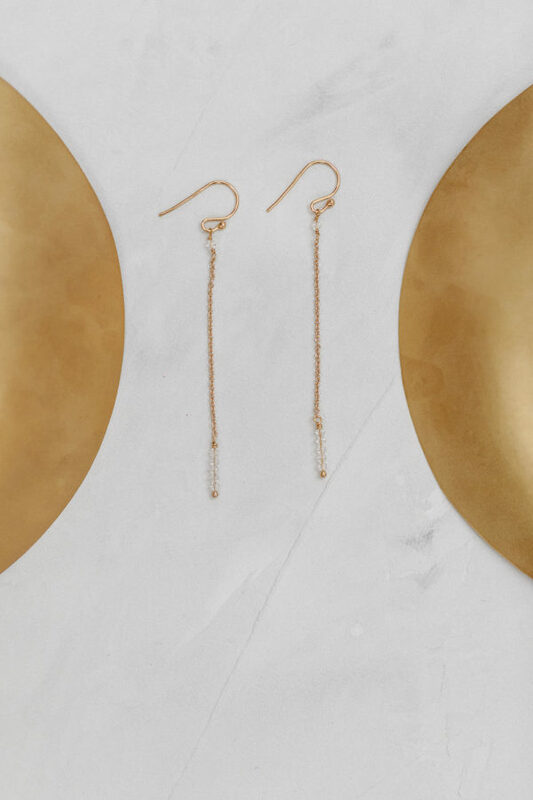 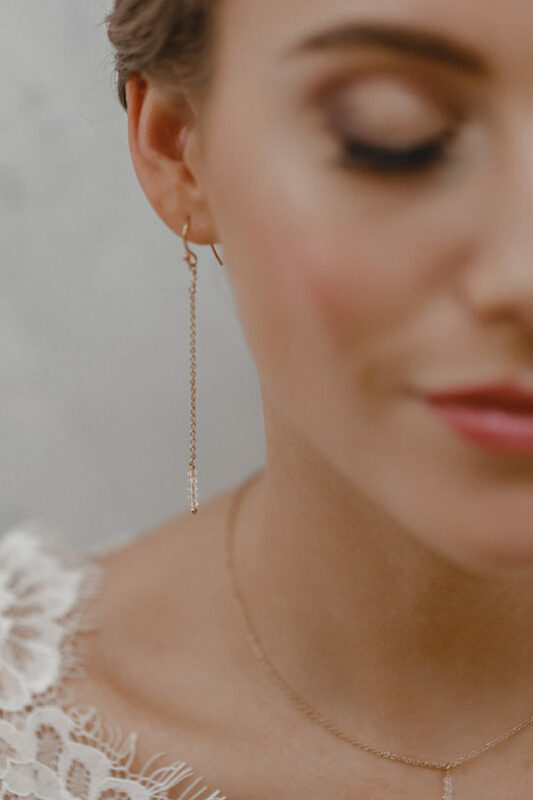 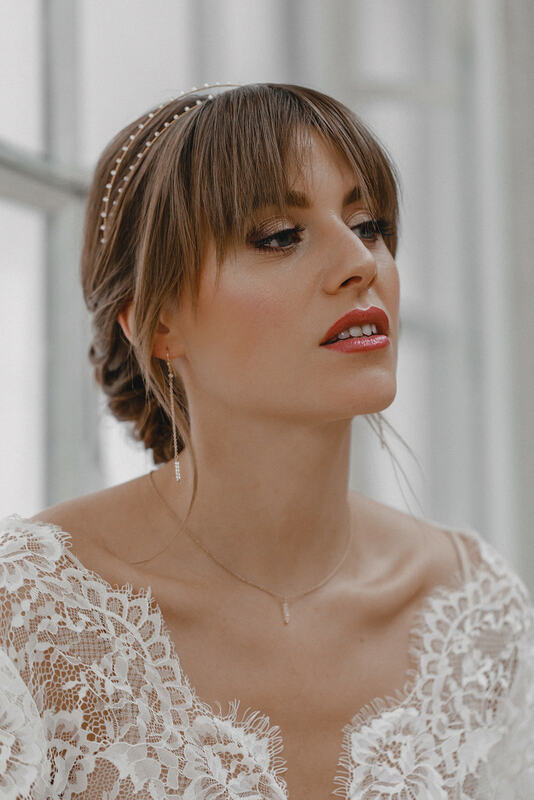 You don’t want to wear opulent, striking jewellery on your wedding, but still find a statement piece honouring this special day? 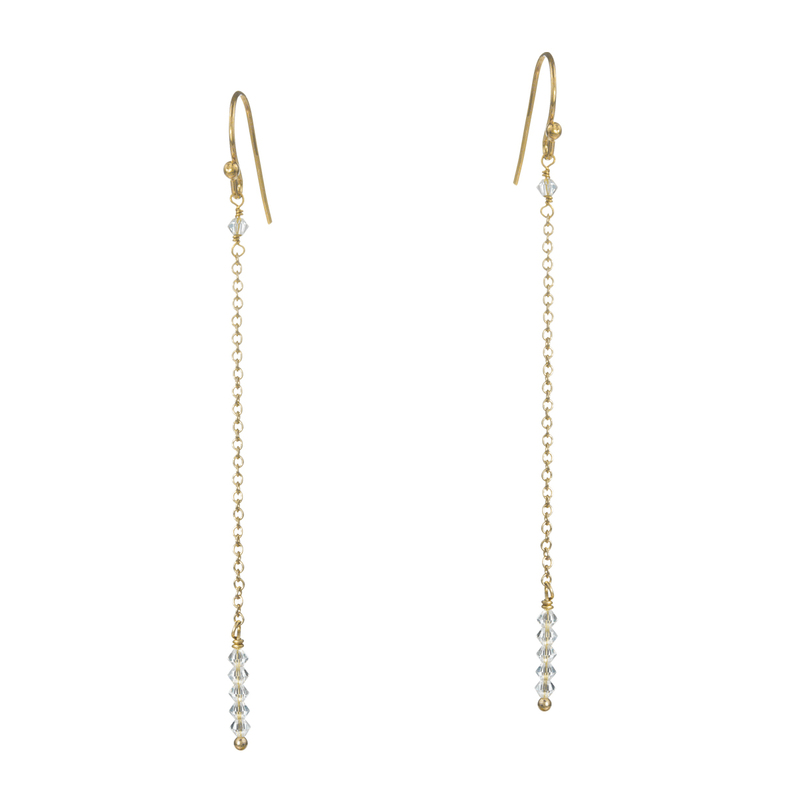 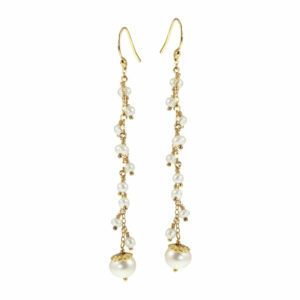 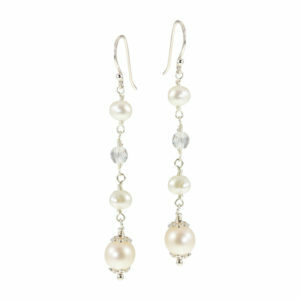 These long delicate earrings descending five small Swarovski crystals might be the perfect choice for you. 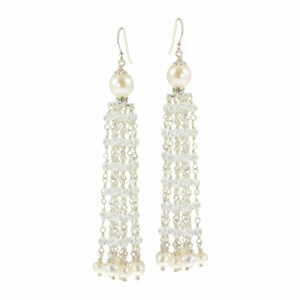 They are guaranteed to catch everyone’s eye without seeking attention.